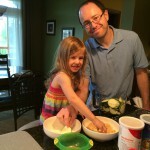 Home » International Adoption » Now What? What parents, teachers, and therapists can do to help build executive functioning and self-regulation skills in everyday life. This post covers how executive function and self-regulation skills develop, key parenting strategies, and specific activities to help children develop stronger skills. Part 4: Now What? What parents, teachers, and therapists can do to help in everyday life. This topic is also available as a full presentation. For more information, click here. Neurons that wire together, fire together. This is how a brain works. To learn, you have to get the neurons firing together many times so they will wire together. Practice, practice, practice. Each neuron has thousands of connects to other neurons. By practicing skills you want to develop, you get specific connections and pathways “firing” and the more they fire together, the stronger they “wire” or connect together. If you think of the pathways like a river, the more the water runs in a pathway, the deeper and stronger the river gets. Strengthen the “wiring” related to the frontal lobe to increases the effectiveness of self-regulation and executive functioning strategies. If we want executive functioning skills to be stronger, we need the neurons in the frontal lobes to fire together, so they wire together (building stronger neural networks for self-regulation, problem solving, and other higher level thinking skills). Understand normal development of executive functioning and self-regulation skills. Remember it isn’t about what you do, it is about how you do it! Parent meets child’s needs in a responsive manner. Child begins to engage in social interactions. Child begins to indicate needs meaningfully. 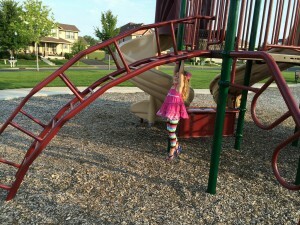 Child begins to engage in social play. Child begins to explore objects. Games with predictable social interactions allow child to remember, predict, and participate in interaction. Child begins to test parent reactions. Child begins to assert separation from parent. 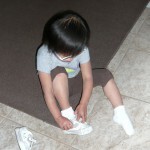 Child imitates adults; adults provide a model during play and daily tasks. 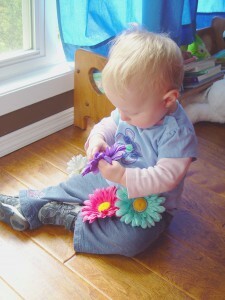 Child starts to have impulse control to take turns, share objects. Child increases in task persistence, planning to achieve a short-term goal. Child continues to assert separation from parent. 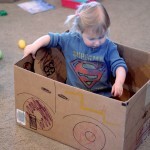 Child imitates more complex adult modeling in play and daily tasks. 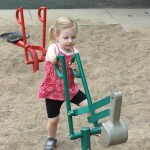 Child starts to have clear goals, preferences, and persistence in play. Child can solve simple problems. 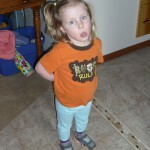 Impulse control develops through tantrums and recovery. Alternates between dependence on parent and seeking independence. Child begins to identify thoughts/feelings. Child can control impulses to follow simple rules. Child regulates behavior some of the time, but high tantrum levels. Begins to have a goal and plan to play. Can do simple problem solving and imitating. Can pay attention with minimal distractions for short periods of time. Child begins to identify thoughts and feelings and can reflect on them. Child can control impulses to follow simple and more complex rules. Child regulates behavior most of the time, being able to control emotions with adult assistance. Has clear goals and planning during play and daily tasks. Can do more complex problem solving and imitating. Can pay attention longer to tasks and social activities. Independent from parent most of the time. Increased awareness and control of feelings, able to inhibit feelings when needed. Generally can be safe with minimal supervision. 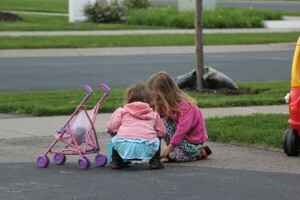 Increased social skills and attention to group tasks apparent. Can inhibit impulses for moderate periods of time. Can coordinate a plan and goals with others. Will problem solve and adjust plan to achieve a goal. Ability to attend and control body greatly increases. Generally in control of body. 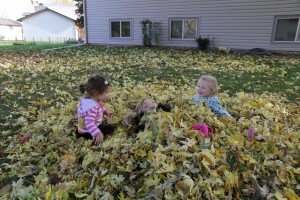 Increasing social skills and attention to group activities. Increasing ability to use cognitive skills to problem solve and complete tasks. Child is challenged to adapt behavior to new situations without adult assistance. Generally in control of daily emotions, struggles with strong emotions. Can inhibit impulses for longer periods of time. 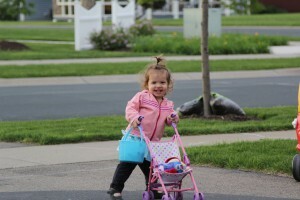 Child expected to adapt behavior to new situations. Rapid growth in social skills. Attention to preferred and non-preferred tasks is expected. Higher level skills get refined: organization, multi-tasking, prioritizing, emotional awareness and management, complex social interaction, high level attention tasks, judgement, study skills, goal setting. Examples of parenting and teaching strategies than can change how you do task to promote executive functioning skills. 1. “Scaffolding” or “Goldilocks” challenges. Be constantly adjusting the daily challenges to achieve the “just right” fit. Slow down, watch your child. The process is important (not just achieving the goal). If you find you are doing a daily task or play activity in the same way as you were 6 months ago, try to step back and give your child more independence. The goal is to slowly remove scaffolding. Most parents help too much. Establish daily routines at home to use as scaffolding. It gives a parent the option to gradually reduce their assistance and supervision within the structure of the routine. Learn to take your time with daily task (and give yourself more time to get things done). Try to ask guiding questions to encourage critical thinking. Respond to questions with a another question- “What do you think?” “How could we find out?”. While coloring, comment “Putting caps on markers keeps them working. I see some markers without caps, I worry they are going to dry up.” Let a few markers dry out, then show your child, make him or her throw the markers away, and comment that we have no more ___ color because the cap was left off. 3. Allow mistakes and self-correction. Learning involves making lots of mistakes. As the parent or teachers, it is faster and easier to assist the child to get to the right answer or result faster, but the child learns less. Tip: Focus on helping your child recognize and self-correct mistakes (rather than on preventing mistakes)- this is a critical part of self-regulation skills. 4. Be a good role model. Model and discuss decision-making, critical thinking, and goal setting. Say it out-loud at an age appropriate level. Thinking out loud for role modeling can be hard as a parent, but the skill is worth trying to master. For a teenager, a parent might talk about not being sure how to handle an ethical situation at work or how to budget for the family vacation. Sharing successes and failures is helpful. Problem-solve together (how can we get chores done and still make it to the zoo today or fix a bike together). Play strategy board games (try cooperative games to build skills together, rather than competitive games). 5. View behavior struggles as learning opportunities. When your child is challenged and he or she is struggling, this is a great chance to slow down and help them learn self-control and self-regulation. There is a time when a child begins to get upset that adult guidance can help them choose to use positive skills (self-calming, problem solving, or coping skills). Tantrums are a learning opportunity. Once your child is truly upset, there processing ability (and ability to learn) regresses dramatically. Try to catch them when just starting to get upset. Praise “choices” so you child understand he or she makes a choice about their behavior. Take time, slow down. Quick fixes rarely work, learning takes time. Remember most behaviors indicate a need to learn a new skills. They are not a personal attach on a parent, despite that it often feels that way. Don’t take your child’s behavior personally. Activity choices can help promote development of executive functioning skills. 1. Encourage free, unstructured play. Adults can participate and modeling during play, but not instruct or direct the play (try commenting and thinking out-loud). Examples: Sensory play, outdoor play, building toys, art, science experiments, pretend play, and music play. 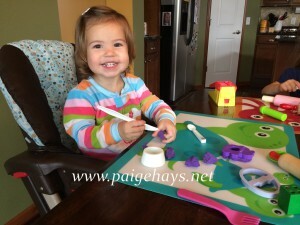 Encourage attention to a theme and building on core ideas together (in the sand table, agree to make soup together and through modeling and encouragement try to keep your child on this task for an age appropriate amount of time). 2. Social interaction (both with adults and peers). Social interactions are highly complex and take a long time to mature, but are also very rewarding and motivating. I wonder how Sally feels when we won’t take turns? Does Johnny look like he wants to join your game? give more support for younger child, but back off as much as you can. Children’s interactions are not always nice and polite, let them try to negotiate and figure it out themselves. Helps the brain, especially the frontal lobes. Specific skills can be modeled and taught. 1. Teach emotional regulation and stress management. From a very early age, label feelings and relate it to how the body and mind feels (I am mad, my heart is going fast). Model and discuss a range of emotions for children. Act them out and use them in pretend play. Label them in books, TV shows, and others around you. Use child-motivating tools, like the songs from children’s TV shows (PBS shows). Daniel Tiger is a great example, so are a lot of songs from Sesame Street. Focus on “taking a break” and calming with your child, rather than using a time-out as a punishment. Pick some techniques that work for you and do them with your children. 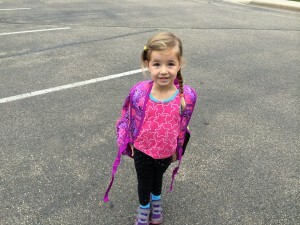 Learn to belly breath (Gonoodle.com has some good videos to go with this idea). 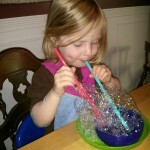 See my post on blowing bubbles in water for an easy home idea. Have independent play time from an early age. 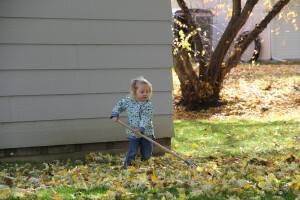 Give age appropriate responsibilities to teach responsibility and independence. Teach organization tools that are visual, then step back and allow your child to use them (chore chart, daily schedule, calendar). 3. Teach inhibition as a skill. Give wait time for children to process and self-correct their behavior. (Counting to 5 after a direction, time out followed by re-doing a task correctly). “Stop and think,” practice together at first. 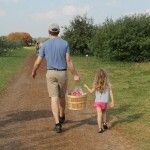 Use an age-appropriate version of “first- then” to work on delayed gratification. Games like red light/ green light and simon says, slap jack, hide ‘n seek, and anything with turn taking. 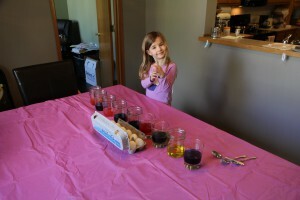 Activities that involve waiting, such as baking, gardening, and science experiments. See this post all about learning impulse control. 4. Teach flexible thinking and problem solving as a skill. Verbalize out-loud possible solutions or ideas to demonstrate this skill. Problem solving daily challenges out-loud together. Emphasize choices/options and trying out ideas, then evaluating the choice to see if it worked. Play games, especially strategy games (charades and pictionary are my favorite). Art, music, sensory play- explore and create together. Reflection with older children about choices and consequences. Remember it is not about what you do, but about how to you do! University of MN has a research lab that has active studies on this issue, here is there most recent newsletter. Understood site- more information on executive functioning.